One of countless things I love about having a career as an artist is being afforded the opportunity to personally observe an individual’s perspective–my own or that of a member of my family or a friend–with regard to a particular work of art and how that perspective can change over time due to any number of reasons. With repeated viewings or listenings, and thus familiarity, it is to be expected that one’s response to and estimation of any work of art is altered. But more intriguing to me is that one’s interpretation of a work can morph for contextual reasons unrelated to the artistic experience itself: events in one’s personal life, the current political climate, or even the season in which the experience takes place. If it’s an opera we’re talking about, one obvious catalyst for edification can simply be seeing and hearing a different cast sing the same opera. Also, because the conductor leading the proceedings can greatly influence a performance, and thus one’s response, the same could be said of seeing the opera led by a different conductor. Likewise, seeing the same opera in another production or in another opera house can elicit a revelation. 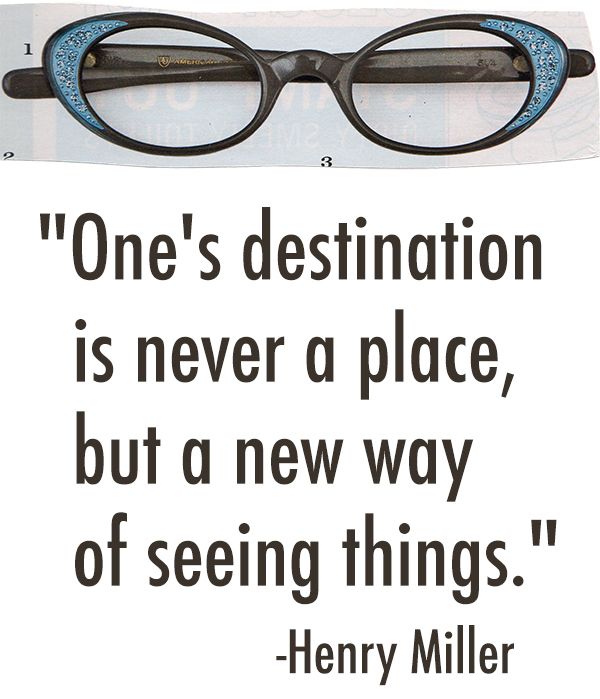 Often, as a performer, I find I am able to gain perspective from those in the audience. As I write this, I have now performed the first of seven scheduled performances of the gargantuan (time-wise, anyway) opera Die Meistersinger von Nürnberg by Richard Wagner. Anyone who knows Wagner knows that he would never use one reiteration of a theme when ten would do. “Ah, but it’s in the subtle ways he changes those themes!” say fans; detractors cite physical pain and serious time commitment as deterrents to their enjoyment of his works. I happen to love playing Wagner. He wrote beautifully for the orchestra and, for those who delve into the score, there are all kinds of “hidden”, often humorous, asides and commentary upon the characters and actions onstage from “voices” within the orchestra. Many times the orchestra functions either as a character itself or in the role of revealing an unknown truth about a character. Fascinating stuff! That said, Meistersinger is truly one of the most challenging works that we play as an orchestra if for no other reason than its duration. There are operas that are almost as long, Götterdämmerung for example (by Wagner…who else? ), but the difference is that the first act of Götterdämmerung lasts a little over two hours. The two acts following it are proportionally not nearly as long. In the case of Meistersinger, it is the final act that is the long one, clocking in at over two hours. I like to compare the challenge of playing Meistersinger to the Tour de France. Ever notice how those god-awful hills are often near the very end of a day’s exhausting stage through Les Alpes? Climbs are assigned difficulty incrementally from Catégorie 4 (easiest) to Catégorie 1 (hardest). But then there are those mountain passes that are even more impossibly steep and/or the cyclists approach them at such a late time in the stage–when they are most fatigued. 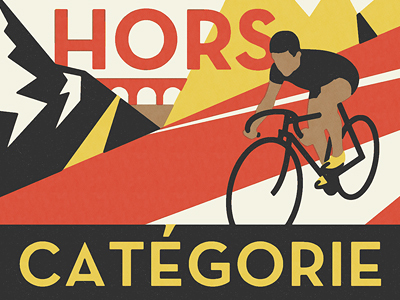 These climbs are considered beyond even the challenge of Catégorie 1 and are termed hors catégorie, or “beyond categorization”. I played Meistersinger my first season and have played every single performance in every revival that has taken place in my twenty-two seasons at the Met. It is not news to me that it is a marathon. But thanks to two separate events this week, I have a slightly different, and welcome, view of the challenge it presents to audience members. (2) Then today, friends of mine composed a blog post detailing their personal experiences surrounding this very same performance. It happened to be their first time to ever see the opera. I found their post witty, knowledgeable, and insightful. I particularly liked the way each of them mentioned preparations they had made in advance of the performance–professionally as well as personally–in order to maximize their stamina and longevity for the siege ahead. In spite of their precautions, however, back pains and worries of deep-vein thrombosis marred their experience at least somewhat. They were suitably proud to report that they, unlike many seated near them in the Dress Circle, had not only made it to the beginning of Act III but were still there for the climactic Festwiese at the very end. The thought had never occurred to me, I suppose, that those in the audience do have the option of leaving before the end of the opera and that this could be either a premeditated plan or that they could fuggi on a whim. Trust me, I am aware that audiences often high-tail it out of the opera house if they don’t like the production or the singing that night or if they become physically ill or if they just find themselves tired after a long day at the office. I get that. But what I had failed to think of before was (1) how daunting some audience members apparently find attending this particular opera–enough so to give a disclaimer to strangers on the subway or (2) how having attended this opera in its entirety clearly bestows certain merit. My next thought was that that sense of personal pride and accomplishment should be encouraged and even rewarded in some tangible way. Perhaps those exiting at 12:10AM or so could have their tickets stamped by ushers upon their exit. Later, these “survivors” could go to the Met Opera Shop and present their stamped ticket stubs in exchange for a pin or a T-shirt proclaiming “I SURVIVED DIE MEISTERSINGER!” or “MEISTER OPERAGOER” or some such sentiment. Heck, why limit it to Meistersinger, though? What if those hard-core operagoers who sit through an entire opera of five hours’ length or more were to have their time, effort, and devotion acknowledged in some way? I’m imagining a Passport-like booklet to be given to audience members at performances of great length and each opera being assigned a unique stamp or sticker to be affixed that would only be made available at the conclusion of the opera. This idea of a special memento being given to the most dedicated of opera enthusiasts was inspired by my knowledge of similar incentives given to die-hard baseball fans. The former ballpark of the San Francisco Giants, Candlestick Park, was infamous for its many bitterly cold games, primarily due to its proximity to the San Francisco Bay. In an effort to encourage the continued support of the team by the fans, management came up with the “Croix de Candlestick”. 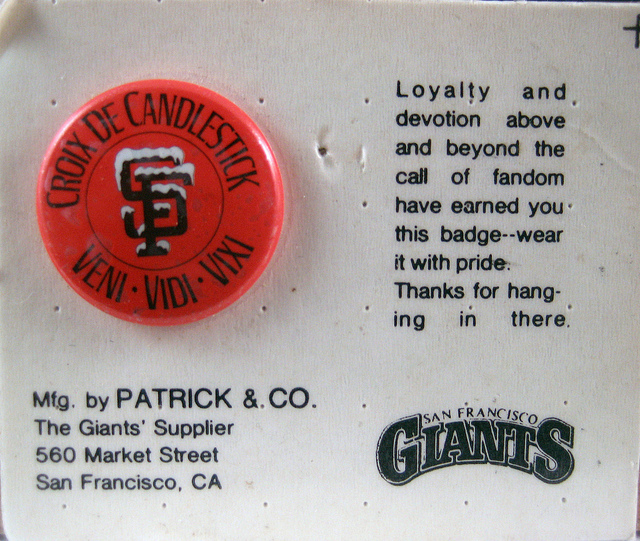 In the event of a night game that went into extra innings, those die-hard fans who stayed until the bitter(ly cold) end, were presented with this personal badge of honor upon exiting the ballpark. Opera and baseball are performed/played to a fan base. Many of those fans are regulars and often make personal sacrifices to be in the house/stands for prolonged periods of time. 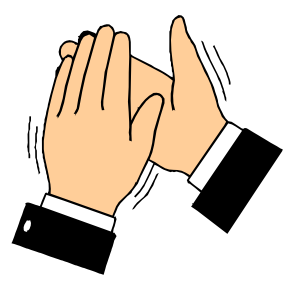 Shouldn’t the audience members themselves share in the accolades at the end of a long performance? If you are in the audience at one of the Meistersinger performances in the upcoming weeks and you see me clapping in the pit at the end, please know that I am applauding YOU as well as the cast. A BLEEPin’ Feature on Me! In the pit. In the dark. Playing the oboe. This is my “day job”. A few of my Metropolitan Orchestra colleagues and I were featured in BLEEP magazine. You can read about the genesis of this blog as well as what my day job is like! And check out the whole article on the Met Orchestra. The New York Mets season is not over…yet. I did, however, just conclude my eighteenth season at the Metropolitan Opera. Just as general managers of baseball franchises purchase the contracts of players and make trades in the off season to fill available positions, the end of our season often sees openings created by retirement. As I write this, many of my colleagues are involved in the culmination of a four-day endeavor to select a new First Horn: a very key position in any orchestra. Barring any unforseen circumstances, by today’s end, a new Principal Horn of the MET Orchestra will be named. Not too many years back, vacancies in orchestras were filled through arrangements between a conductor and a player that he knew from somewhere else or whom that instrument’s section leader knew–usually a student. It was arranged that the musician would play for the conductor, sometimes as briefly and informally as in the conductor’s dressing room prior to a rehearsal or concert. He was then handed the job. I use the pronoun “he” because female conductors as well as female orchestral players were unheard of in the early twentieth century. Because of the strength of the musicians’ union and because of the general increase in the numbers of capable players worthy of consideration, most positions are now filled through an audition process. Audition notices are published in the monthly newsletter of the American Federation of Musicians. 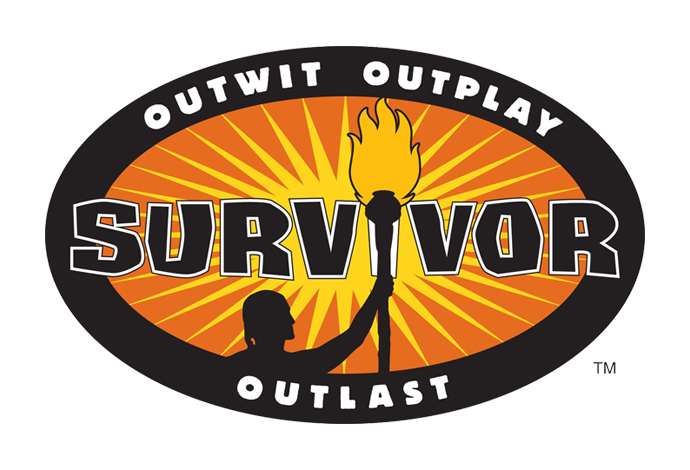 Interested candidates may submit a resumÃ© and request to be sent the excerpts–the specific passages from longer works which the committee will hear during the audition. While such auditions are supposed to be conducted fairly, prejudices often play a part of the decision-making process. It is understandably difficult to remain objective when serving on an audition committee when one is hearing a player who (1) has been subbing in the position and has been deemed worthy–and deserving–through that informal trial basis, (2) has been his or her student, (3) or is a personal friend or acquaintance. Further discrimination can occur, consciously or subconsciously, on assumptions made by the age of the candidate, the candidate’s known experience (or lack thereof), the make of instrument on which the candidate plays, or even the gender of the candidate. The MET does something in its auditions that, to my knowledge, no other orchestra has utilized: every single round of the audition is conducted with the candidates placed behind a screen. The committee is then left to evaluate the candidate strictly on the merits of the music the candidate is making. When, for example, “Number Two” is declared the winner and comes around to meet the committee, his/her identity is not known to the members of the committee. I think it is hardly a coincidence that our orchestra boasts a large number of women in its ranks as well as extremely accomplished very young players–some of whom won their jobs before they were even out of music school. Because I’ve always been intrigued that there are so many parallels between playing for a baseball team and playing in an orchestra, I am also very interested when I find or think of distinct differences between being a player on “my” team and a player on a MLB team…beside the issue of payscale, I mean. I have often wondered what the music world would be like if music directors or general managers of music ensembles orchestrated trades to fill vacancies. While I have had colleagues who left the MET Orchestra to play in the New York Philharmonic, the Chicago Symphony, the Boston Symphony, and the San Francisco Symphony, the MET did not receive a player in return for these musicians. The “Player to be Named Later” was named following an open audition on OUR end. Spring Training can be a somewhat informal “audition” of sorts, I suppose. Some players will make the team and others will not, of course. Auditioning for a specific position, while not as common, does happen. After all, it wasn’t until after Opening Day that Jerry Manuel awarded the Center Field position to Angel Pagan over Gary Matthews, Jr. But to think of (1) ball players auditioning in a way that did not reveal their identity and/or (2) having them perform certain plays, i.e., throw certain pitches, catch balls going to the left/right, basket catch, shoestring catch, etc.–as a “tryout”, in the manner of prepared excerpts from the orchestral literature, is downright hilarious. Imagine a batting cage sheathed in dark cloth so as not to disclose the identity of the batter. Obviously, in order to properly evaulate a prospective player, one has to watch him react, see how tall he is, observe his batting stance, and countless other visual clues to his abilities. UPDATE: Colleagues from the brass section responded last night to my inquiries regarding the results of the audition and informed me that the committee had selected Erik Ralske, acting Associate Principal Horn (for the past 5 years) and, prior to that, Third Horn for the New York Yankees, er, New York Philharmonic. I also neglected to mention in the first publication of this post that the Principal Horn vacancy was created by the retirement of distinguished Principal Horn, Julie Landsman. Julie is a dynamic, inspiring player that has led that section with distinction since 1985. She is also on the faculty of the Juilliard School of Music and has former students in many major orchestras, including the MET Orchestra and the Philadelphia Orchestra. Operas by Richard Wagner are notoriously lengthy. The final opera in the composer’s four-opera Ring Cycle–Götterdämmerung, or “Twilight of the Gods”–is one of the longest. Depending on the conductor’s pacing, the opera’s three acts with intermissions can clock in at close to six hours. Because of its length, this opera (one of my favorites, by the way) has been affectionately dubbed “Goddamn, It’s Long!”, a play on its German title. When we embark on the journey that is the final opera of this saga, some of my colleagues have been known to comment to one another that, in the time it takes to perform the opera, we could take a trans-Atlantic flight and be in Europe. How ironic, then, that at the conclusion of last night’s Mets game, my husband commented that the game had lasted about the same amount of time as Götterdämmerung, albeit without the blazing pyre–The Immolation Scene–that concludes that opera. Hailing from Illinois, Alan is a died-in-the-wool Cardinals fan. Although he is not one to gloat, I did take my share of ribbing from him during the 2006 Post Season. Although we had not corresponded prior to the Mets’ arrival in St. Louis for the three-game series, I fully expected to get a message from him following Friday night’s Cardinal win at the Mets’ expense. Saturday began for me with a matinee performance of La Traviata. At the conclusion of the opera a little after 4PM, I tuned my radio to the game on the drive home. I watched the game on TV at home, waiting as long as I dared possible (about the time of the amazing Cora catch in foul territory) and then drove back in to the city for the evening performance of Tosca. Desperately hoping to see a Mets win, I stayed tuned to the game via MLB.com’s At Bat and SlingBox. But when the orchestra tuned, the curtain went up, and my phone was turned off, the game was still scoreless. Following the fortissimo closing chords of Act I, I quickly turned on my phone. Much to my surprise, not only was the game still going, but not a single run had been recorded. Cavaradossi was tortured mercilessly by Scarpia’s minions, Tosca sang passionately about her lifelong devotion to art, Scarpia pressed Tosca for sexual favors in exchange for her boyfriend’s safe release from prison, Tosca stabbed Scarpia, and the currtain came down. All of this had transpired during Act II and yet, although runs had now been scored, the game had still not ended. With the aid of MLB.com’s At Bat, I did “see” the game’s conclusion–barely–before running into the pit for the beginning of the final act of the opera. But over the course of twenty long innings, I still hadn’t heard back from my favorite Cardinals fan. Wasn’t he watching this FANTASTIC game?? Where in the world was he??!! It was then that I remembered that Alan was on the West Coast performing the role of Gunther in performances of–you guessed it: Gotterdammerung! “I wonder what it must be like to be Luis Castillo, waking up this morning,” my husband said on our morning walk with the dog. “I’ll bet it all seemed like a bad dream, and then he realized the disaster had not been a dream,” I responded. Luis Castillo’s dropping what should have been a routine fly ball that would’ve ended the game with a Mets win but instead resulted in a brutal Mets loss at Yankee Stadium last night no doubt resulted in loss of sleep by the player himself and countless interested parties in the tri-state area. No doubt, this botched play was also part of many Mets fans’ morning ruminations. Thinking of the incident in the context of a bad dream led me to think about my own and others’ nightmares and their origins. I’m stumbling around the music library, trying to find a CD while the unbearable silence of dead air over the station’s monitors provides the (non-) background music to my insufferably slow search for some appropriate music to play. It amazes me that the challenges of my professional radio days continue to formulate my subconsious, even many years later. Less surprising are the nightmares I have in which I am at my place of employment–the Metropolitan Opera. These dreams have a recurring scenario: I can hear the orchestra playing in the pit and the singers onstage. No matter what I do, I cannot find how to get into the pit. Yet, the music keeps going and going. I can literally hum along my own part to the music as it keeps going and going, but every passageway I take ends in a dead-end, and the closest I can ever get to my designated chair in the orchestra is looking down into the pit from various high vantage points in the opera house. Baseball players must have similar profession-related dreams, don’t you think? I bet it would very interesting hearing the details of those nocturnal visions, fueled by each player’s specific phobias. To some, perhaps certain ballparks loom large and formidable. Perhaps batters dream of facing a particularly daunting pitcher: Randy Johnson in his prime, for example. Those dreams everyone has in which one needs to flee but is running slow-motion in quicksand? Perhaps the equivalent is that a player’s bat speed has decreased so significantly that he can’t keep up with any pitches at all. While I would be curious to hear what happens in ballplayers’ reveries, I have absolutely no desire whatsoever to see the stuff of nightmares played out in front of my very eyes as I and thousands of groaning Mets fans did last night. I have a feeling Luis Castillo and that routine pop-up will be seeing one another at night for years to come. “I Got It”, by Sherry De Ghelder, St. Louis Burb, Missouri, USA. Oil on panel. No, I don’t think it’s over for the Mets for the season, although I realize I may be one of very few fans who feel that way at this point. And, no, the title of this post is not meant to suggest that I feel Willie Randolph should be fired, although again, I realize that is probably a minority opinion. Rather, the title of this post refers to the fact that the Metropolitan Opera season concluded over a week ago, the MET Orchestra’s final symphonic concerts at Carnegie Hall have taken place, and I find myself in the enviable position of being on vacation for three months. It was about this time last year that I was inspired to start a blog and, having just started my summer vacation, it was something I felt I could devote some time to. As in summers past, once again I have more time to devote to personal interests, but I cannot say that I have been terribly inspired to write very much about the Mets these days. Heck, I don’t even feel like rubbing it in to Yankees fans I know that their team is currently last place in their division! As one of (at least it seems) few optimists, I have been of the opinion that (1) it is still relatively early in the season and (2) no other team in our division has had such an amazing start as to have left the rest of the division in the dust. I remind myself that (3) the Mets have been plagued with a lot of unfortunate injuries, but that a real boost has come from some unexpected places in the interim: Claudio Vargas, Fernando Tatis, and–most recently–Nick Evans come to mind. These are the things I have been trying to keep in mind when fans at work and WFAN callers have been calling for Willie’s departure for the better part of May. I have actually always liked the fact that Willie Randolph tends to maintain a placid exterior whether the team loses or wins. Although others have viewed this as a lack of passion for the game or think that his showing anger and distress might serve to motivate players, it has always been my opinion that by NOT showing any overt distress over losses or botched plays, he was communicating a trust in his players. To me, it said that he realized that they themselves were just as distressed, upset, and angry at themselves–maybe more so–than he could be at them. I have also always felt that by not going ballistic when a player was doing poorly or made a bad play, he was sending the positive message that he knew that the player was capable of playing better and would do so the next time he found himself in a similar situation–having learned from his mistake–or was trusting that a slumping player would–with time and the coaching staff’s assistance–find his way out of his slump. I have also never understood why fans think a manager should make a big hoo-ha about umpire’s calls that are clearly not going to be reversed, e.g., arguing balls and strikes. What exactly is that supposed to prove? Orchestra musicians really love it, by the way, when a conductor stops in the middle of rehearsing a passage of music to berate a musician for a wrong note or reed that didn’t speak properly. And I figure–on live television and in front of a stadium of thousands–ball players must similarly detest a manager visibly embarassing them for something they’ve done. But as I continue to hear and read sentiments such as “the Mets are far too great a team to be playing below .500” and “they’ve been lackluster ever since the middle of last season”, I find myself beginning to wonder if a change in leadership might help the Mets. Although I truly think that there is a place for Willie Randolph’s and his managerial mentor Joe Torre’s managing style, maybe it is just not a good fit with this team and it’s particular set of problems. Believe me, I hate the “they can’t fire the PLAYERS and they have to do SOMETHING, so fire the manager already” mentality. And for the longest time, my response to this suggestion is that that would essentially be a knee-jerk reaction. That logic seems as flawed to me as our current Commander in Chief arguing loudly for “payback” for the atrocities of September 11th by instigating a war with a country totally unresponsible for the attack. I’ve held onto the opinion that the Mets’ lethargy should not be put upon Willie, but with the Mets continuing to play one-step-forward-two-steps-back baseball, even I am now beginning to wonder if there is something to the argument that the Mets need a manager that will get them fired up. Honestly, I don’t see why personal pride alone has not been incentive enough for the players themselves to summon the collective indignation, embarassment, self-loathing, grit, or anger to turn things around on their own with their current manager. But, if the Wilpons ultimately decide that only a change in managerial leadership will get the Mets out of their current malaise and playing with some consistency, then I say forget Bobby Valentine’s smug grin and fake moustache. And don’t even dignify Gary Carter proferring his services with any kind of response. If management thinks some ball-busting, no-nonsense managing is in order here, I say bring him out of retirement and BRING HIM ON! With the current climate of highly-paid players with the equivalent of tenure being coached by far lesser paid managers with no job security at all–or “the inmates running the asylum” to use Gary Cohen’s amusing metaphor, maybe a more in-your-face manager would work better for the Mets than one who always shows his players respect. I mean, maybe a guy whose answer to racism and death threats was a handgun carried on his person would instill some fear in and remove some of the swagger from those players who need to be brought down a peg or two! Robinson was even arrested for brandishing the gun on a short order cook who refused to serve him! More recently, Commissioner Bud Selig called on Robinson to become baseball’s police officer, its vice president of on-field operations, in 1999. He was asked to reduce on-field violence. For an example of what one surmises must be some sort of managerial scare tactics on his part, one must go back only as far as a few seasons ago to a time in Robinson’s stint as manager of the Washington Nationals. During his time there, the recalcitrant Alfonso Soriano’s open defiance at the Left Field assignment given to him by Robinson immediatley softened into almost subservient acceptance following what had obviously been a most persuasive discussion behind closed doors. Although in recent interviews, Robinson has indicated that he does not wish to return to managing, he does seem wistful about being involved with the game in some way. It is obvious from a 2007 USA Today article entitled “Baseball Needs Frank Robinson” that I am not the only one who thinks Robinson’s departure from baseball has been premature. While I do not think it was wise of Willie Randolph to have publicly made his recent accusations of racism playing a part in how he has been portrayed–at least on television–in his role as manager, I am not the only person watching the events of this past week play out that has thought that perhaps we as a society like to think that race is a non-issue–especially in professional sports–but in fact, we are really kidding ourselves if we think we are past this issue as a society. Engaging Frank Robinson as a manager for the Mets would also serve to dispel any accusations of racism playing a part in the fans’ or management’s dissatisfaction in Randolph’s job as manager of the Mets. I hope things settle down for Willie Randolph and for the Mets, but if drastic measures are deemed necessary, I think Frank Robinson should be given a phone call.